Link Global Management can provide a full range of payroll services in Turkey. The individual will be engaged on our payroll and income is paid in the form of salary, allowances and expenses, the proportion of each part depending on individual circumstances. Link Global Management will discuss your personal circumstances with you and help you to minimise your tax and social security liabilities, within the boundaries of Turkish legislation. Income is managed tax efficiently, not just in Turkey but also in any other country where there may be a liability. A tax return is filed each year in Turkey with advice and assistance from Link Global Management who will also provide help with filing tax returns elsewhere, if required. Individuals who are resident in Turkey (full liability taxpayers) are subject to tax on their worldwide income. Non residents (limited liability taxpayers) are taxed only on earnings and revenues derived in Turkey. Residents include individuals with legal permanent residence in Turkey and those who reside in Turkey for more than six months during one calendar year. Temporary absence does not interrupt the continuity of residence in Turkey. In general, if an individual is a nonresident of Turkey under these rules, the individual is also a nonresident for purposes of the application of Turkey's tax treaties. This may affect the taxation of non-Turkish income in the source country. An exception to the six-month rule described above applies to expatriates such as businesspersons, scientists, experts, employees of governments or journalists who come to Turkey to perform temporary and predefined work as well as those who have arrived for the purpose of education, medical treatment, rest and travel. Such persons are considered to be nonresidents even if they stay in Turkey longer than six months in a calendar year. 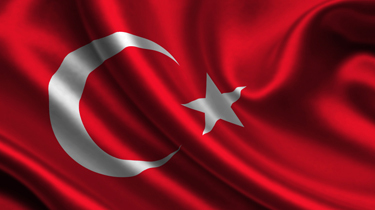 Thinking of contracting in Turkey?